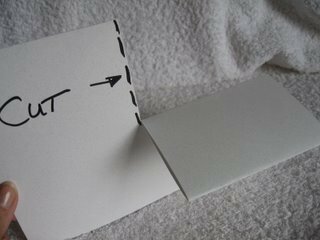 Do you like the look of a Stepper card, but can't be bothered with the measuring? Well try this one instead. 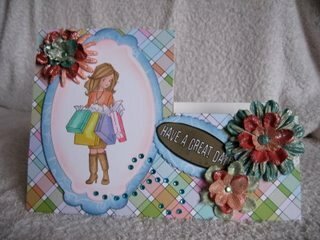 On this website you will find the detailed instructions to create all the styles of these Cards. But if getting out the ruler and pencil is not your thing, then this one will appeal to you even more. 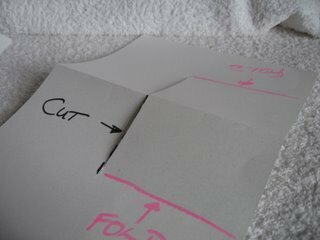 An easy fold and cut, will give you this layout, that can be used either way to create some thing different. You can make a template and keep it with the those that you have made from the other projects. Or if you prefer to learn visually then Click here. for the video version of the instructions for this Card. 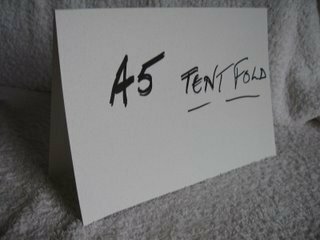 You will need an A4 card, some pretty paper, a topper of your choice, a sentiment and anyembellishments that you have in your stash. Then depending on the size of your topper, cut in to the center but leave enough room to fit your topper and any layers that you add. 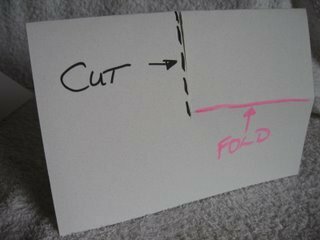 ...and then fold it the other way and crease it this way too. 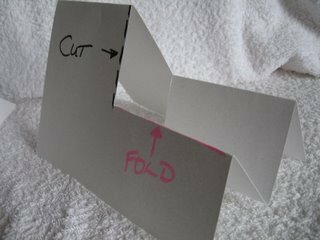 Now open the card out and this is what you should have. The end result is this shape. I have used Punched flowers, Gemstones, and some lovely Decorative Pins on some of the cards, and Brads, Buttons and Glitters on others. But what ever you decide to add to your creations have fun.